Yep. You guessed it. I couldn’t leave well enough alone. 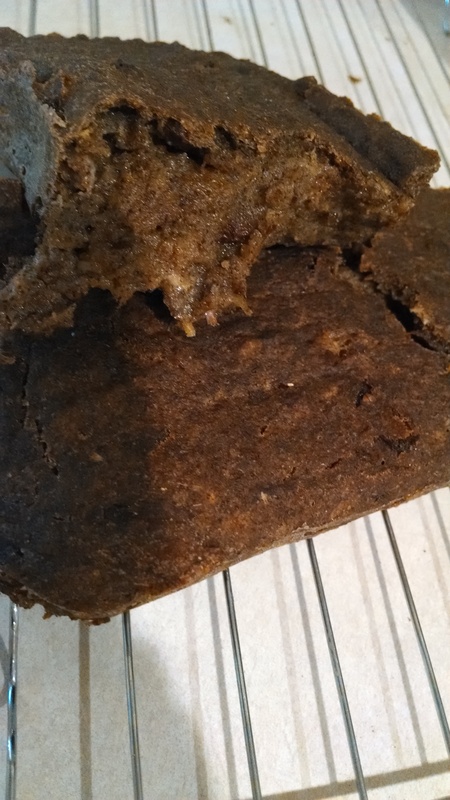 Remember that yummy banana bread from yesterday? The scrumptious one with the pineapple and raisins? Well, I decided it was not nutritious enough. I thought a bit more protein would help. After all, who doesn’t like a bit more nutritional bang? So I made the same recipe again, but I substituted 1/2 cup hemp powder for 1/2 cup of the rice flour. Hemp is so packed with protein and amino acids that I thought it would be great. Rating: awful! Go back to the pineapple banana bread recipe if you want something good!